$444 down payment, remaining balance to be billed custom. YAY! You are choosing a revolutionary custom payment option that my team has created. I understand that things are financially difficult sometimes, and I NEVER want the energetic exchange of money to be the reason that someone does not take the leap in investing towards their future. Ever. This is a custom plan, that is to be arranged by you and I, privately. We establish the amount you find to be most suitable for your current financial climate, and will be extracted automatically each month, on the date we decide! You simply need to only make the initial non-refundable down-payment of $444.00 now, and I will get into contact with you to arrange the rest of the details for payments beginning sometime in March. Money (or energetic exchange I like to call it), should not be the forefront of this decision or creative process. I am here to make this as stress-free and empowering as humanly possible! Sincerely, congratulations on being one step closer in claiming your truth and revolutionizing your marketing, your storytelling, and your career! I am in awe of the transformations my students have experienced as a result of this curriculum, and am SO excited in sharing this with you beginning February 25. Be sure to screenshot your confirmation thank you page after check-out, post to your social media, and tag me, to let everyone know that incredible leap you are taking in advancing your self-awareness and professional potential in the digital space. I sincerely appreciate you so much. The Enchantment Method thrives on global awareness. Here, we do things differently. We are human before we are experts, and we cherish the real-real. You are your empire, and you are the Enchantment empire as well. 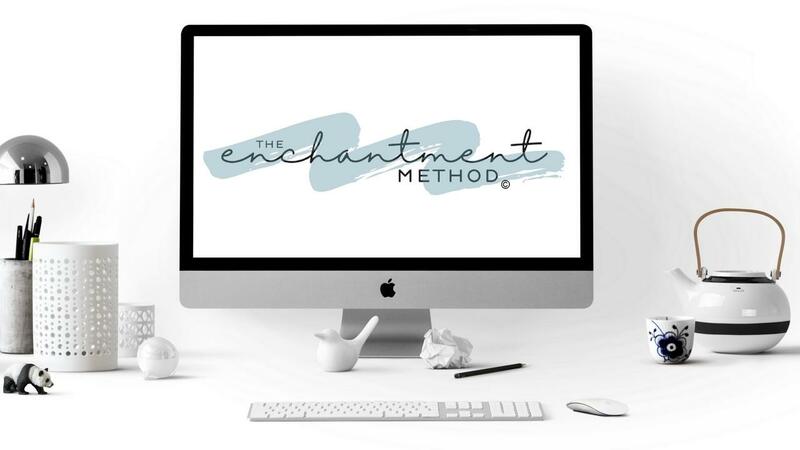 The Enchantment Method: WINTER Cohort $444 down payment, remaining balance to be billed custom.